Solo recording... featuring Joel's daughter, Sharon Wilbur. They have done it again! Recorded in 2002 and produced once again by Grammy award winner Bill Cuomo and Yochanan Ben Yehuda, they have captured the life, worship and joy of Messianic music in the songs and performance of Joel Chernoff (of Lamb). Led by Baruch Adonai, now a classic Messianic dance song being sung and danced to both in Messianic congregations and churches worldwide, this recording also is filled with many wonderful Messianic worship and praise songs. From the deeply worshipful and intimate Come Dance With Me to the defiant proclamation from the Book of Psalms of When You Rise Up, you will be caught up into the presence of the God of Israel Himself. Joel is also accompanied on two songs by the voice of his daughter, Sharon Wilbur, a new and emerging young star in the Messianic and Christian music scene. 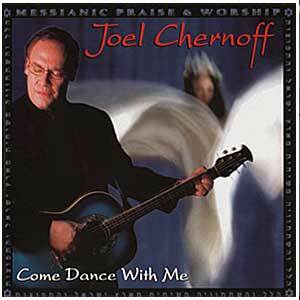 Come Dance With Me is an absolute must for Messianic music lovers!